Our physiotherapist in London at the Angel Sports Injury and Physiotherapy Clinic looks at the most common cause of back pain : poor posture. Here are some simple tips on improving your posture. The more you practice, the sooner it will become an automatic way of standing. Give this a go when you are standing in line for your coffee or bus! 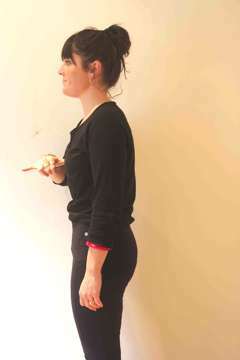 • Rock forward and backward from toes to heels to place weight through the centre of your arch. Roll to the inside and outside of the foot to find a natural arch. Think tripod support – ball of the foot, lateral border of the foot and centre of the heel. • ALWAYS stand on two feet with even weight bearing – don’t hang off to one side. • Unlock and soften the knees, without bending too much otherwise you’ll risk walking like a thunderbird. • Think of the pelvis like a mixing bowl and tilt forward and backward to find neutral – if this isn't working for you to think of the movement, then just imagine a seedy person gyrating their hips on the dance floor and you should be able to get the movement. • Soften around the sternum and think of broadening the shoulders as per sitting posture check list. • Helium balloon at the base of the skull stretching the back of the neck long and creating a little chin tuck. • Once you are in this position you should notice that all the tension across your upper shoulders, neck and back should have dropped away. 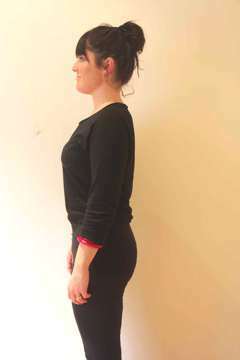 • Walking or standing, continue to drop as much muscle tension as possible and breath wide into the base of the ribs. 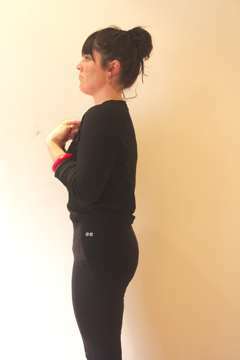 It is time to do something about your constant neck niggle or back ache. To make an appointment with Jo Knock the physiotherapist in London at the Angel Sports Injury and Physiotherapy Clinic in Islington click below. 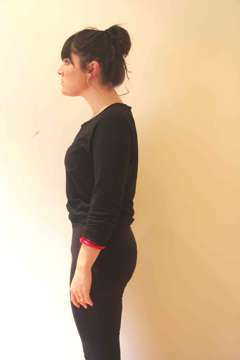 The clinic will provide a thorough assessment of your posture as well as looking at the ergonomics in the workplace.